Chris Bolton, Douglass. 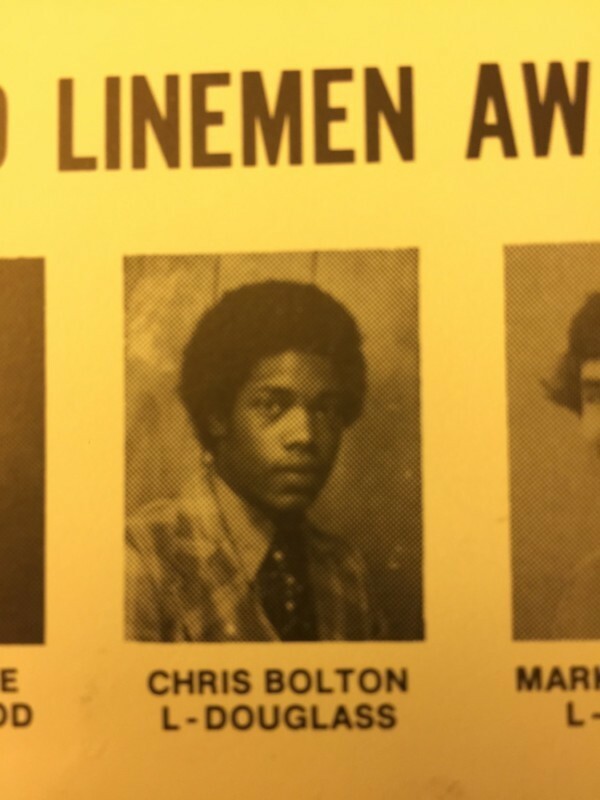 Bolton was an outstanding linebacker for Charlie Brannon’s Astros. In 1976 they would finish at 6-4. In Bolton’s junior year they would come up just shy of a state championship losing in the AAA finals to Central Macon. Bolton would accept a scholarship to the University of Tennessee. Bill Battle recruited Bolton, but would be replaced by Johnny Majors. Bolton would letter all four years he was in Knoxville amassing a total of 241 tackles in his career wearing #61.